Vehicle “Title Loans” Are A Really Bad Idea! People in financial straits often do not know where to turn to solve their problems and, as a result, act out of desperation and make poor choices. I have written on this site of one example, the “pay day loan,” but there are many others, including the “car title loan.” The problem with this type of loan is the same as the “pay day loan”: exorbitant interest. A client of mine told me that he had gone to one of these places to borrow $2,500 on a “title loan.” They wanted interest of 1% (or $25) per day!! This is not unusual, unfortunately. One company gives an up front example of how much a loan would cost if you borrowed $1,000 and paid it back over twelve (12) months. After paying $146.76 per month, it would be paid, but you would have forked over an additional $761.12 in interest! That’s a rate of over 75% per annum! In New Jersey, it is considered criminal usury to charge more than 30% interest to an individual or more than 50% to a business entity! At least that company was up front about its rates. Another company skirts around their rates on their FAQ page. However, when one of the FAQs asks if the transaction rates are considered high, the response is, “Not if you consider that title lenders do not base their decision on credit.” The clear message is that they are marketing to those with bad credit, figuring they are the ones desperate enough to pay that high a rate. Don’t fall for it! Lots of legitimate banks will make a secured loan to you with your car as collateral. Even if your credit rating isn’t all that good, you will not pay rates approaching anywhere near 75%. If you are going to consider this, proceed with caution and ask lots of questions about the interest rate. Be sure that they give you the rate expressed as an APR (Annual Percentage Rate). Also, be sure only to deal with a company in New Jersey, so that they will be subject to our usury laws to keep the rates reasonable. You may end up paying 29%, but it is better than 75%! Considering loans like these is a sign of a bigger problem. If this sounds like you, and you are looking for a solution, then download my free book, Am I In Too Deep? 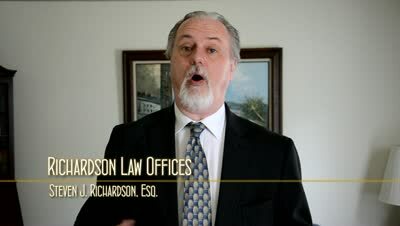 A Guide to Knowing When You Need to File Bankruptcy in New Jersey to find out if you need bankruptcy. Then call my office at 856-432-4113 or contact me through this site to schedule an appointment to come in. Are Car Title Loans Legal in NJ? Getting a Loan from Western Sky: A Bad Idea! Posted on 04/28/2015 Top 3 Ways to Know If Your Debt Collector is a Scammer! Posted on 12/01/2014 NJ Creditors Cannot Levy on Unemployment Benefits In Your Bank Account!